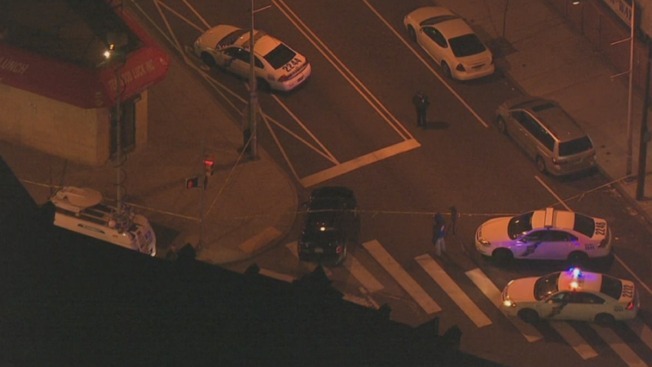 A man is in the hospital after investigators say he was shot by police officers inside a store in North Philadelphia. Police say they responded to a store on the 2200 block of Ridge Avenue for a report of a man armed with a knife. When they arrived, they say they found a 50-year-old man with a knife in his hand. Investigators say the responding officers told the man to drop the knife but he refused. The officers then tazed him twice but the man still wouldn't let go of the knife, according to officials. One of the officers then shot the suspect twice, according to investigators. The suspect was taken to the hospital where he is currently in stable condition. Officials at the hospital say the man was either drunk, high or both during the shooting. Detectives are currently looking through surveillance video of the shooting.